The legislature has many legislative caucuses that exist to educate and advocate for specific groups or issues. 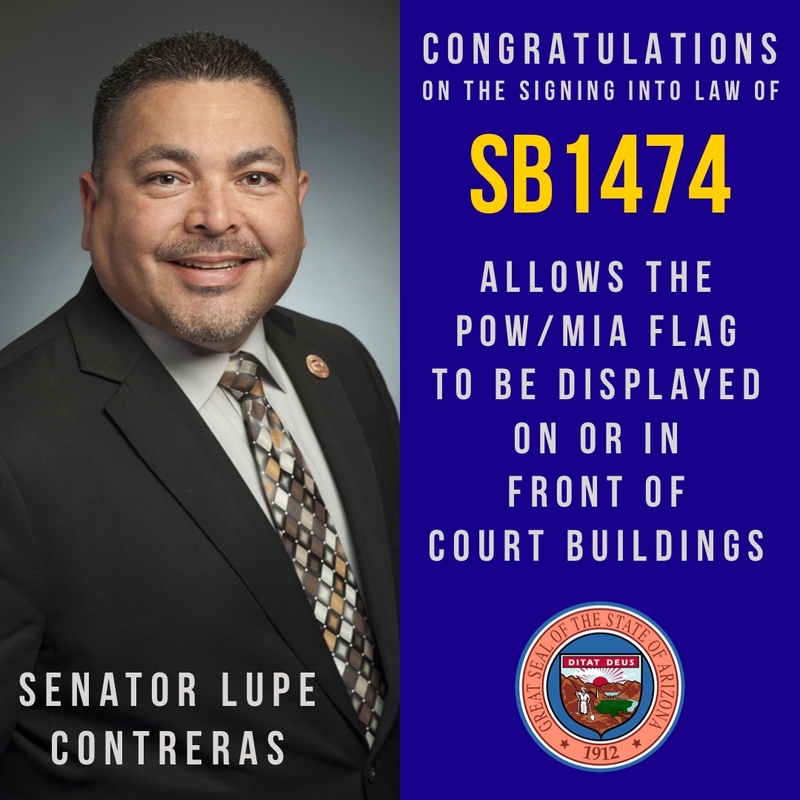 One of those is the Arizona Legislative Indigenous Peoples Caucus, which is open to all legislators and studies matters of interest to the indigenous communities of Arizona, with the goal of providing a strong cohesive voice on those matters in the legislative process. This week Senate members of the Arizona Legislative Indigenous Peoples Caucus tell us about their priorities this session. Featuring Senators Sally Ann Gonzales, Jamescita Peshlakai and Victoria Steele. Is lemonade more important than equal rights? The legislature is tasked with tackling important issues that affect Arizonans' quality of life. That is why members of the Senate Democratic Caucus have introduced bills this session that address problems in our state with real solutions. But Republicans who control both chambers, as they do every year, have refused to allow most of those bills to have a hearing while letting almost all of their own bills be heard. This week's perfect example is HB 2692, sponsored by Republican Warren Petersen, which tackles the critical issue of naming lemonade as the official state drink. It was heard this afternoon in Senate Government Committee. SCR1009 (Sen. Steele) - Would make Arizona the 38th and final state to ratify the Equal Rights Amendment, enshrining it into the U.S. Constitution. SB1504 (Sen. Bowie) - Would define school bullying and require district and charter schools to develop policies to address and prevent bullying. SB1389 (Sen. Alston) - Would prohibit discrimination in housing, employment and public accommodation based on sexual orientation, gender identity or veteran status. SB1491 (Sen. Dalessandro) - Would create a task force to study the benefits of a state-owned bank that could help small businesses obtain funding. SB1502 (Sen. Gonzales) - Would repeal the lifetime limit on low-income healthcare. SB1543 (Sen. Mendez) - Would set a minimum corporate income tax of $1,000 for corporations with 50 or more employees. The current minimum is $50. SB1381 (Sen. Navarrete) - Would help identify and stop troubled individuals from obtaining or keeping deadly weapons and committing violence. SB1521 (Sen. Quezada) - Would allow for automatic voter registration when anyone applies for a state identification card or drivers license. Requires suicide prevention training for school personnel that work with students in 6th through 12th grade. Establishes a three-year pilot program under the Department of Education to assist elementary and middle schools in developing and implementing community school plans. Establishes the Joint Study Committee on County Boundaries to research and report on the fiscal and related impacts of a change in the boundary between Cochise County and Santa Cruz County. Establishes the Joint Study Committee on Forgone Tax Revenue from Public Lands Held by the Federal Government and appropriates $1,000,000 to the Committee in FY 2020. HB 2596 provides absolute immunity to public entities for acts and omissions of its employees related to the performance of specified duties relating to the management of public lands. HB 2616 makes it a class 1 misdemeanor for a person to pay or receive money based on the number of voter registration forms. It also requires the completed forms to be postmarked within 10 days of the receipt of registration or to be received by the county recorder's application deadline, whichever is earlier and failure to do so is a class 6 felony. HB 2724 allows any person to petition GRRC for review of any existing practice, substantive policy statement, enforcement action or final rule of the Citizens Clean Election Commission. Allows an employer to pay a wage equal to or greater than the federal minimum wage ($7.25) for employees under 22 years of age that are employed on a causal basis and enrolled as a full-time student. 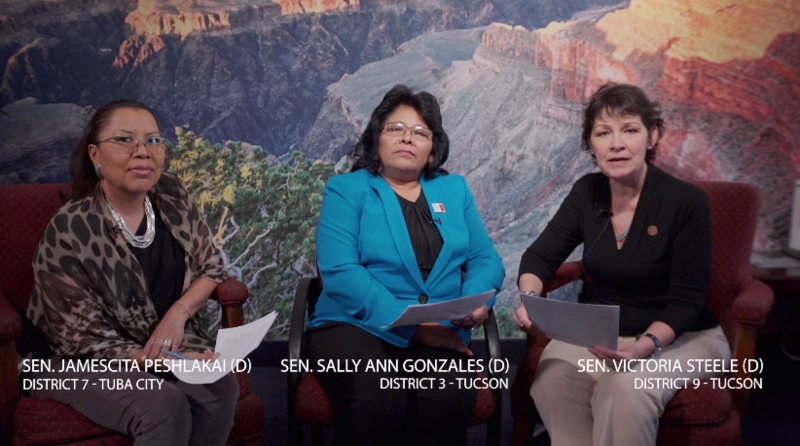 WATCH: On Arizona PBS' news show Horizon, Senator Rebecca Rios joined Representative Athena Salman to discuss voter suppression bills and so-called charter school reform efforts that are moving through the legislature. Sen. Rebecca Rios, D-Phoenix, said it makes no sense to mandate seat belt use for back-seat passengers when other state laws actually allow children to be in the back of the open bed of pickup trucks. Sen. Victoria Steele, D-Tucson, wants the margarita as the official state drink. Sun tea is proposed by Sen. Lela Alston, D-Phoenix. And Sen. Juan Mendez, D-Tempe, is promoting Jamaica tea.